Due to the fact that the Cleveland Cavaliers and the Golden State Warriors did such a convincing job in the Conference Finals, it seems as though there has been a big gap between knowing who was in the Finals and actually playing the Finals! There will be plenty of players who will have enjoyed the rest, allowing injuries to heal but for the rest of us, the wait has been agonising, but it is all over now, the NBA Finals are ready to roll. If you have forgotten how the teams got here, the Cleveland Cavaliers whitewashed the Atlanta Hawks by a score of 4-0 in the Eastern Conference Final and the Golden State Warriors punished the Houston Rockets by a score of 4-1 in the Western Conference Final. There have been a few players struggling with injuries in the build-up to this game but it seems as though the big names have declared themselves fit and ready for action in Game 1 of the Finals. While most of the focus for the Cavs falls on LeBron James, Kyrie Irving has been a massive player for this season. Irving has been struggling with tendonitis in his knee but he told the media that he will play in Game 1, even if he has to dig out some additional strength and fortitude to do so. You can see why players are willing to put themselves through the mill for a shot at NBA glory. These are the games that people dream of playing in and an injury isn’t going to stop the cream of the crop from getting to where they want to be in life. For the Warriors, the big injury concern has been over Klay Thompson. He suffered concussion in Game 5 of the Conference Final versus the Rockets. The player himself has been very confident that he would make the game but there are rules and regulations in place with concussion and Thompson has had to pass through protocol to be cleared for this game. He has been cleared and he is raring to go. An interesting angle about this Final is that it is being contested by two teams coached by a head coach in his first season. This is extremely rare, with the only other time this happening coming back in 1946-47, when it was the first season and every coach was a rookie coach! The last rookie coach to win an NBA title was Pat Riley, who led the Los Angeles Lakers to glory in 1982. Riley is currently the President of Basketball Operations for the Miami Heat, a club who has known all about NBA Finals of late, but there will be a bit of history made by the winning coach, regardless of what team wins. This is the first NBA Finals appearance for the Warriors since 1975, and in the 39 years in-between, the Warriors missed out on the post-season 29 times. They only managed to win 7 playoff series in that entire time. You would think that this has been a pretty bad run but to be fair, you could argue that the Cavaliers have had a tougher time. The city of Cleveland hasn’t had a lot of sporting triumphs to cheer with the last success coming back in the NFL Championship of 1964. This was before the SuperBowl even existed, that event only came into being in 1967! The last time the city tasted baseball success was in 1948 when the Cleveland Indians triumphed in the World Series. 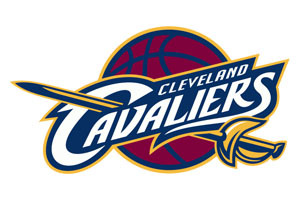 As for basketball, the Cavaliers came into the NBA in 1970 and they haven’t tasted success. They have made the Finals once before, and then, like now, a lot rested on the shoulders of the boy from Akron, LeBron James. If the NBA was won by a traditional league over the season, the Warriors would already be on the beach, celebrating an awesome year. They grabbed 67 wins, which is the sixth highest number of wins in history and they became only the 8th side to grab a double-digit point differential, they were up 10.1. They were the top team with respect to defensive efficiency and second with respect to offensive efficiency, making them just the third team in the last 38 years to feature in the top two of these rankings. The Golden State Warriors are the 14th NBA team to win at least 65 games and reach the NBA Finals. All of the 13 other teams went on to take the NBA crown, which places a level of pressure on the Warriors. No matter how great the season has been, if they don’t finish the job, many people will consider this campaign to be a failure. The Finals could also come down to which player shines the strongest? Will it be the NBA MVP Stephen Curry? If it is, the Warriors will live up to their expectations and give their season the finish many say it deserves. Or will it be LeBron James? This is a man that knows about NBA Finals and picking up rings, and he knows that a win here would push his legacy to the moon. The Warriors are favourites and even LeBron knows he has to pull out something in every game of this series if he wants to win, but if anyone in the current basketball era is capable of achieving this, it would be LeBron James. Either way, basketball fans should settle back and look forward to watching two current masters strut their stuff, and surely the Finals MVP will go to one of these two players, unless someone else decides to wrestle it from their hands! When it comes to the NBA Finals, you don’t need backstories or side stories to keep you interested, the glory of the title should be enough by itself. However, it is all these different angles and battles that add spice and extra excitement to the event and there looks like being an awful lot of great basketball action and excitement in store for this one. At the moment, the Warriors are the basketball betting sites favourites to win the NBA Finals, and you can find them with odds of 1.43. The Cavaliers are listed at 2.90 to take the title. With a range of betting options, including prop bets for the series as well as the individual games, the NBA Finals should have everything you need to keep you entertained and occupied in the immediate future.